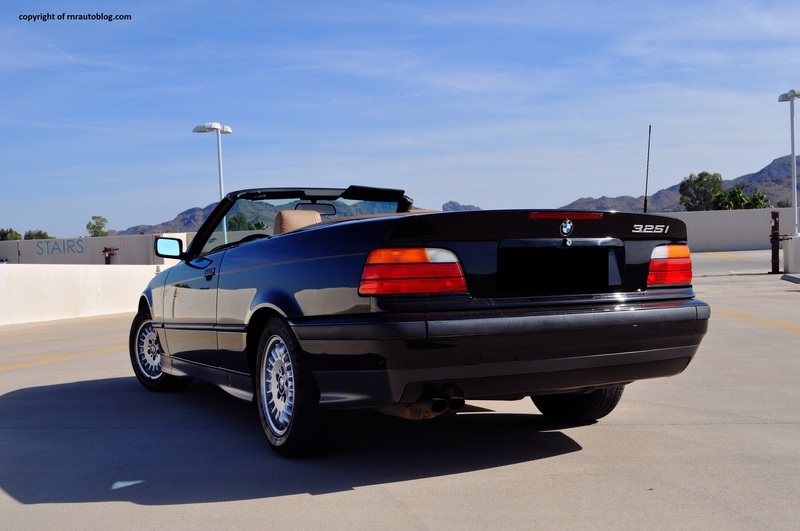 Even though BMW is currently one of the world’s most profitable brands, that was not always the case. In 1959, BMW faced financial difficulties, and stockholders convened to decide whether to keep the company running or to go into liquidation. 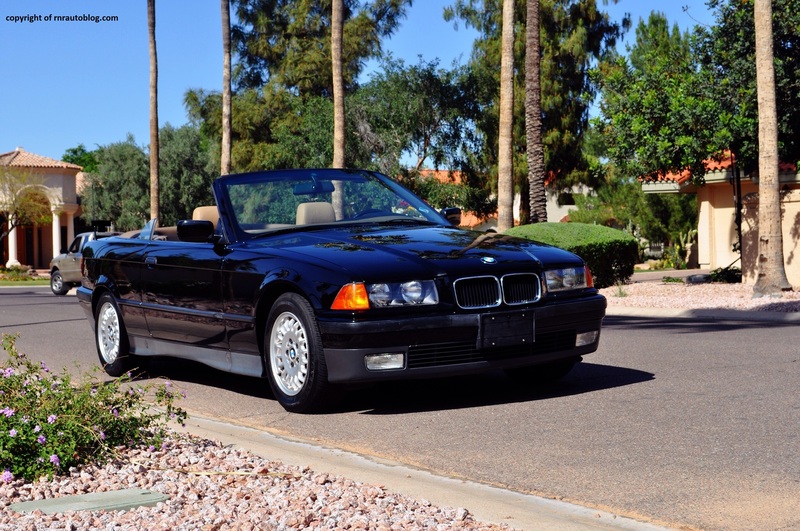 BMW was in such bad shape that rival Mercedes-Benz was considering buying out BMW just to wipe its competitor out. The stockholders agreed to keep carrying on. The success of economy cars in Europe convinced BMW to focus on small cars. 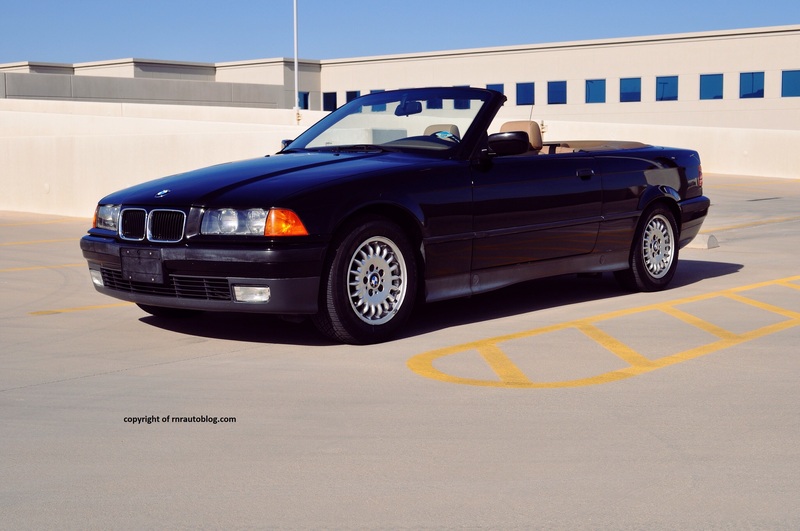 BMW was formerly an aircraft engine manufacturer, and it used its engine expertise in developing the cars. The result of this was the BMW Isetta, which helped BMW get back on its feet. BMW wanted to move upmarket as to challenge Mercedes-Benz with the BMW 3 series. 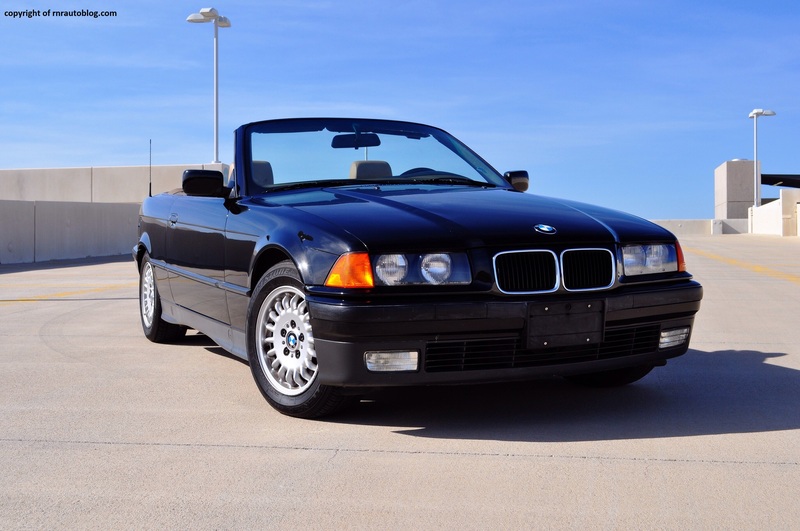 The third generation 3 series (E36) builds on the traits of the previous two 3’s with more power and comfort. 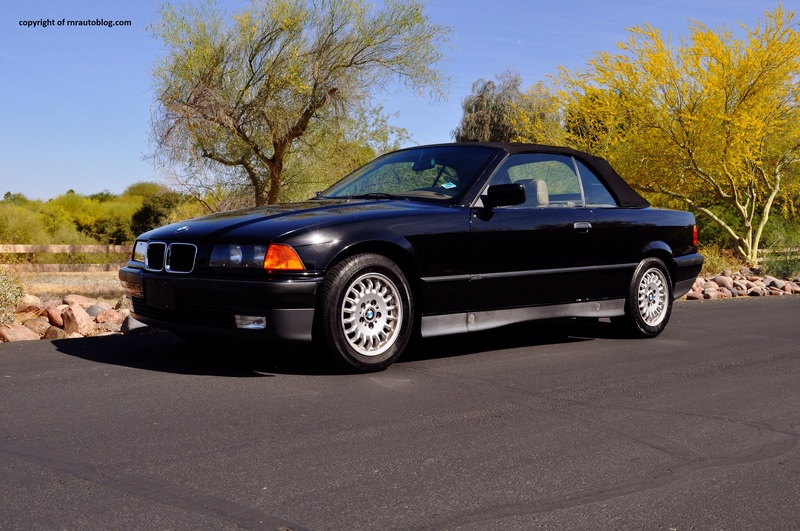 You can tell this E36 generation’s design is classically BMW. In contrast to the latest BMW’s edgy designs, this comes across as staid and conservative. 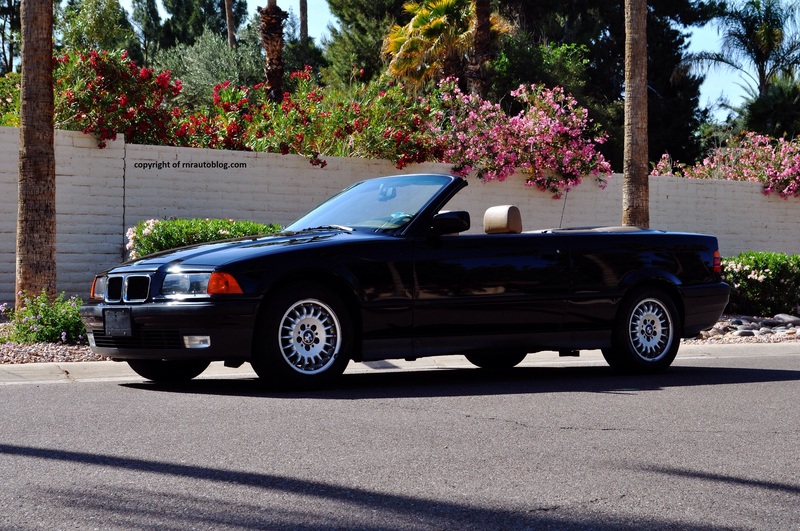 Throughout the generations of 3 series, they always had an unmistakeable “3 face”, and this is no exception. You can tell it is a 3 due to the kidney grille and the double headlights. The fascia is purposeful and simple. With the top up or down, the 3 looks good, and the rear shares the front’s simplistic design. If I had to be nitpicky, there are two flaws with design: the bumpers’ gray bottoms and the strip of rubber that runs all around the car. But these are minor drawbacks in what is one of the best looking 3’s of all time. 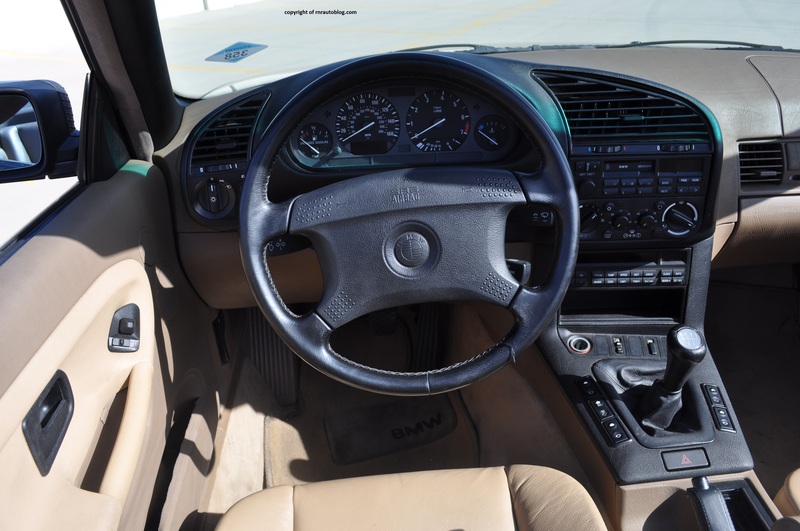 The tan interior complements the exterior’s Diamond Black Metallic color well. The latest 3 series has been criticized for not having the engaging driving experience that the older 3s had. This is one of the 3 series the critics are talking about. Needless to say, this car brings new meaning to BMW’s slogan: The Ultimate Driving Machine. The well weighted steering conveys good feedback, and it is precise and accurate. It clings to corners well with restrained body grip, and you can really feel the steering and the suspension working in harmony. There is no palpable explanation as to why, but I can just feel it. There is virtually no understeer at all, and the front end feels very light, but remains composed over mid corner bumps. When it gets out of line, all that is needed is a steering flick to bring it back in line. The ride quality is firm as pronounced bumps permeate through the cabin. 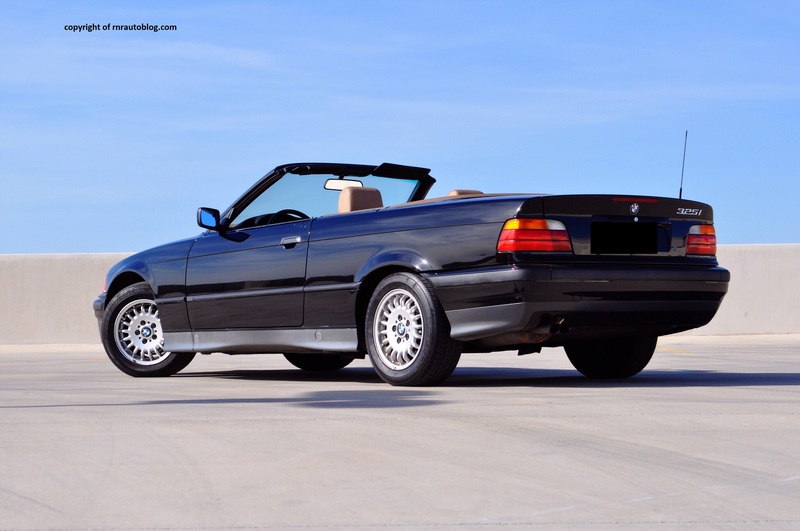 When a car gets turned into a convertible, some structural rigidity is lost. This is evident over bad roads, where this 3 quivers and rattles noticeably. Nowadays, the latest BMW (and Mercedes-Benz too) models have an alphanumeric nomenclature that doesn’t refer to the engine size at all. 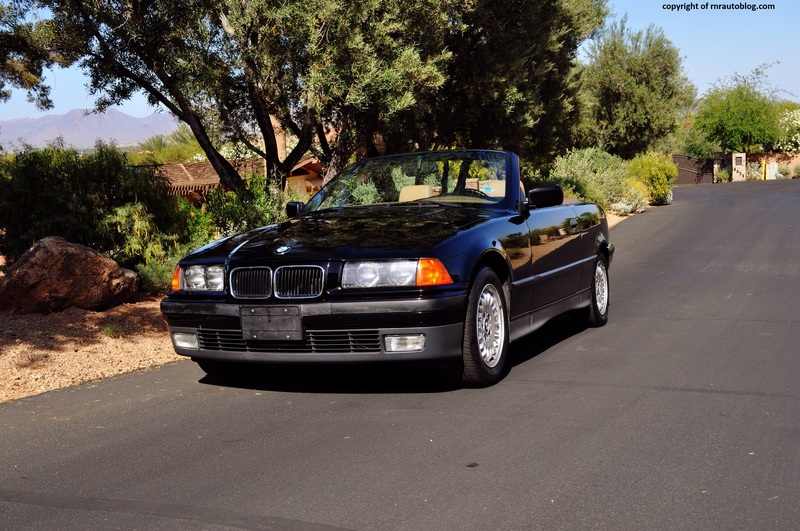 For example, the latest 328i does not have a 2.8 liter. It has a 2.0 liter. 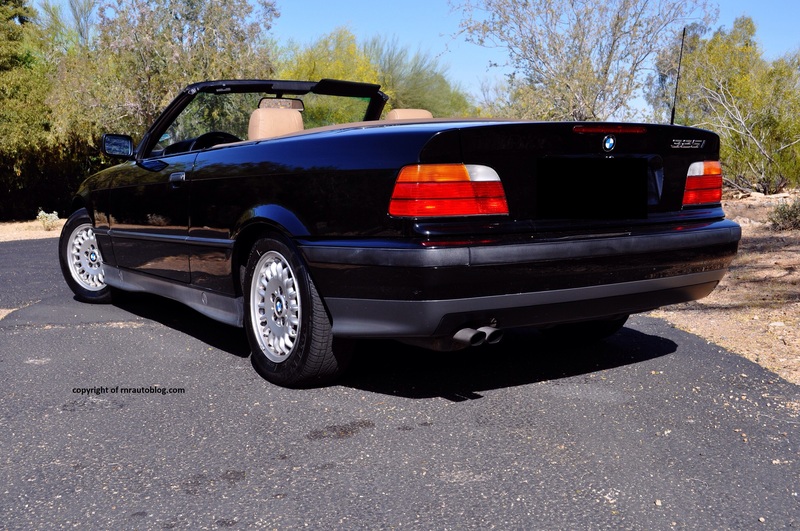 I find it so refreshing that the this 325i actually denotes a 2.5 liter inline six cylinder engine. 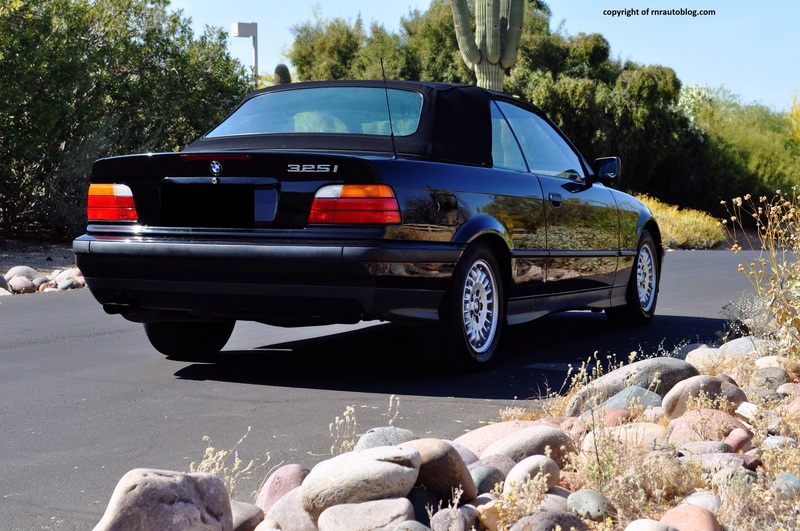 With 189 horsepower, the 325i feels sufficiently quick. 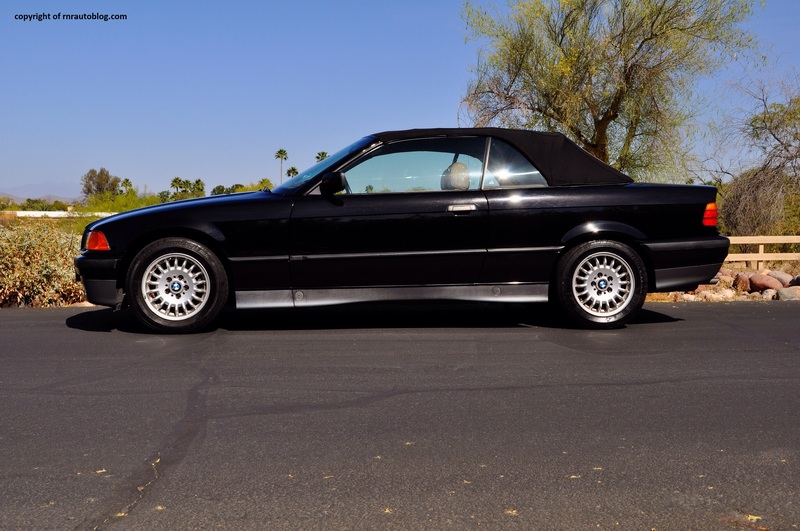 Although not outright fast, the 325i has more than enough power for most situations. Although it is strong at any part in its powerband, this inline six cylinder engine feels peppiest at low revs and high revs. 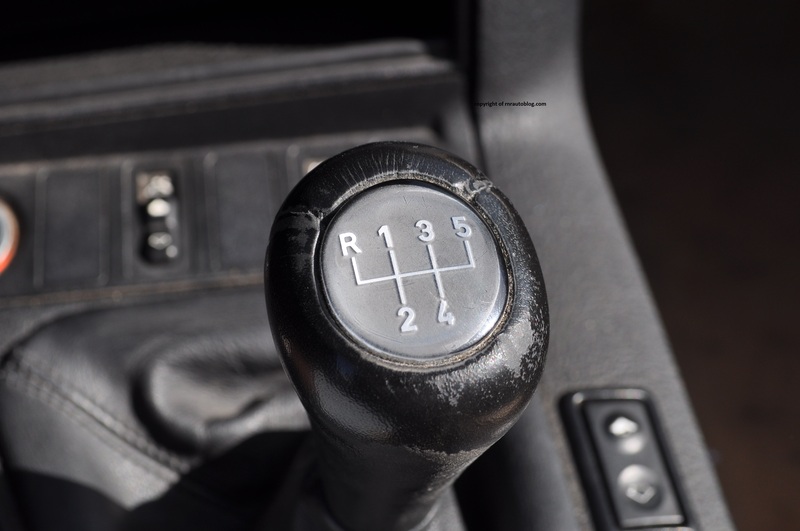 A four speed automatic is optional while a five speed manual comes standard. The five speed manual transmission feels a bit notchy at first, but as you get used to it, it becomes easy to shift. In a manual car, I prefer the clutch to have feel, and this clutch has excellent feel. It is slightly heavy. However, it has a hard to notice biting point, so you have to be delicate when modulating the clutch. Fuel economy at 17 city/20 combined/26 highway is decent, considering older BMWs had a reputation for lack of fuel efficiency. As far as refinement goes, it is reasonable quiet inside. However, road noise is an issue as it thuds over poor surfaces. The engine stays refined until pressed. When pressed, the six cylinder emits a cultured growl. 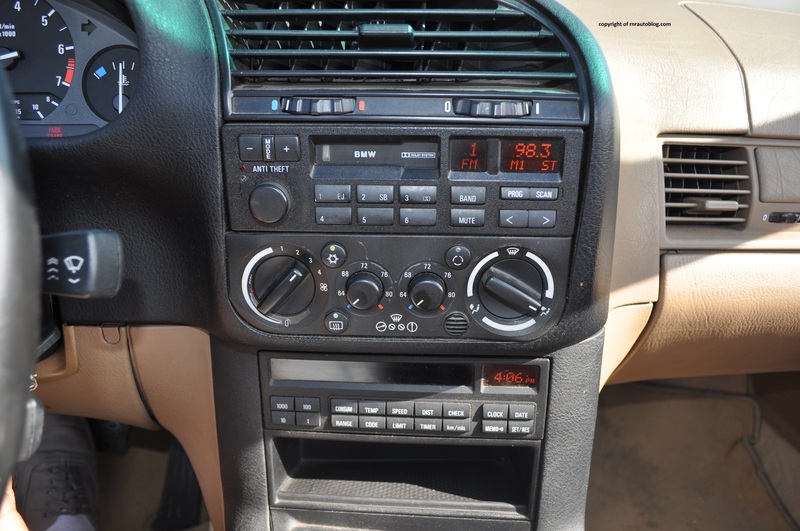 Despite some scratchy surfaces, the cabin features flawless fit and finish, especially for a 20 year old car. The radio controls take some time getting used to, and I couldn’t find the button to turn the radio off. 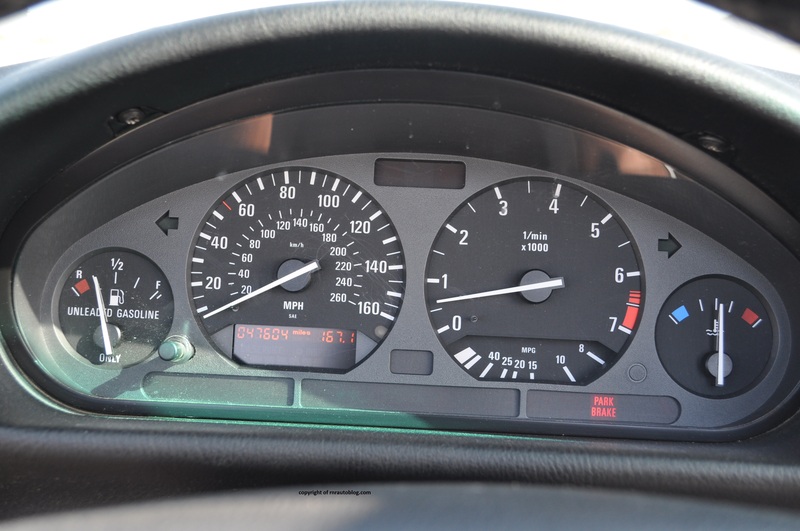 The gauges are easy to read. Finding a good driving position can be a hassle. The steering does not telescope or tilt, so if you push your seat back, you’re too far from the wheel, but if you pull it up, the steering is too high up. The center console robs a lot of knee room. My right leg kept brushing the center console while I was driving. The seats’ excellent support and cushion mean that that they would never get tiring, not even on long trips. Except for the confining center console, the cabin feels reasonably airy with the top up, and there is decent legroom and headroom in the front. However, the rear is cramped. The trunk is a moderate size, and cabin storage is adequate. 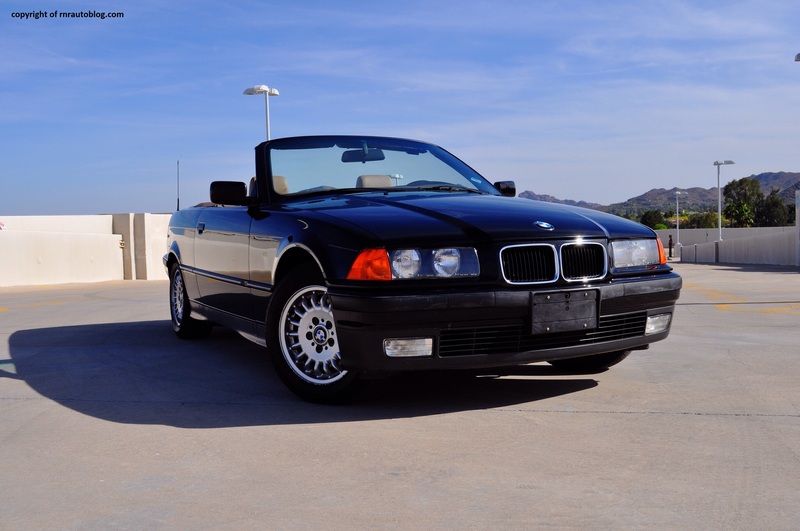 Even though BMW’s slogan, “Ultimate Driving Machine” may not be present in the latest comfort oriented BMWs, it sure does in this 3. This car resembles everything that a BMW is. Right now, BMW is trying to be more like Mercedes-Benz, and they are eschewing all the virtues that made them so appealing in the first place. For example, M models used to be about pure driving enjoyment, not technology and prestige, and BMW is trying to fill every niche with the X2, X4, X6, Gran Turismos, and Gran Coupes, instead of focusing on their core models. 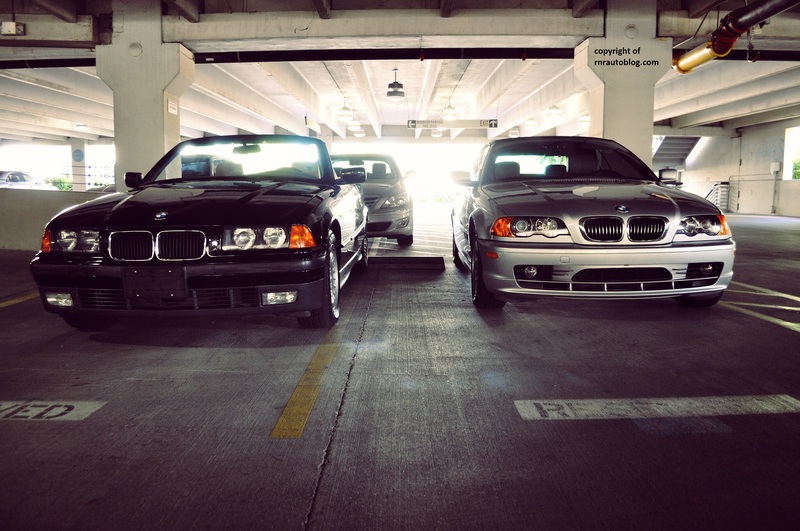 As a BMW purist, I can say that the older 3 series are better than the new ones. 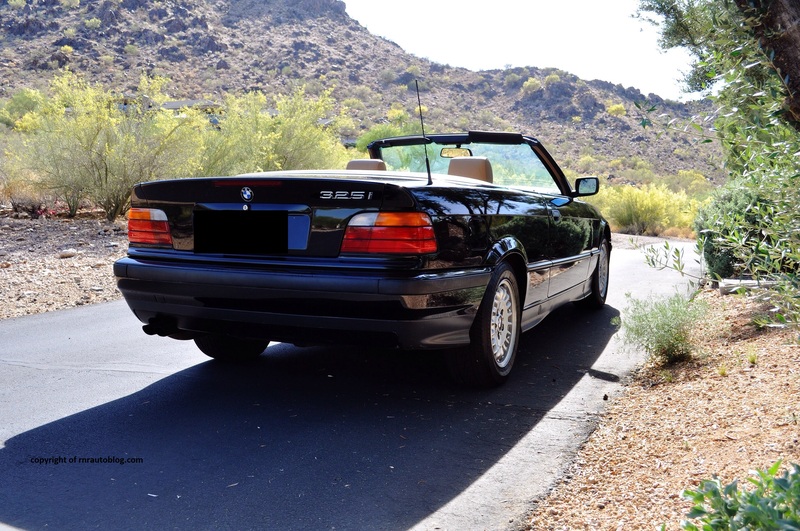 Cars like this 3 that makes me yearn for the older German cars that just felt…well German to drive. BMW still makes excellent cars, and some of their cars are appealing, but I just don’t like the direction they are headed. The latest BMWs don’t make me smile like this one does.